A new police station has quietly opened in E1, an area between Jerusalem and the West Bank settlement of Ma’ale Adumim that has been a subject of continuing controversy. The station, which will serve as the new Israel Police headquarters in the West Bank, is already being used, and 99 percent of the police units have already moved in, Judea and Samaria police spokesman Danny Poleg said Monday. The heavily-guarded station, which is located up a winding barren hilltop on the outskirts of Ma’ale Adumim, appeared to be fully operative on Monday. A journalist who came to the site was not allowed to enter the station’s gated compound. Israel Police: Judea and Samaria District read a huge sign at the entrance to the site. The official inauguration of the site was abruptly postponed in March, and an opening ceremony has still not been set, officials said Monday. At the time, the Internal Security Ministry had cited “technical and bureaucratic reasons” for the postponement, which coincided with a visit by US Secretary of State Condoleezza Rice to Jerusalem and the West Bank. The US has strongly opposed any Israeli construction plans in the area. 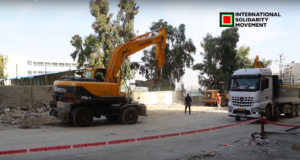 Ma’ale Adumim Municipality spokesman Hezky Zissman said Monday that all municipal permits were now in order, and that the site has been operational for the last two weeks. The station, whose construction was approved by the government in 2005, will replace the dilapidated station in east Jerusalem which has served as the headquarters for the West Bank police for decades. Three years ago, the government of Prime Minister Ariel Sharon promised the Americans to freeze a contested major residential construction project in E1, but continued to build the police station. The long-planned construction of 3,500 housing units is part of a decade-old government plan for E1, which would link the major suburban Jerusalem settlement to the capital. The proposal had been subject to fierce Palestinian opposition because it would complete a circle of Jewish settlement around east Jerusalem, cutting it off from the West Bank. 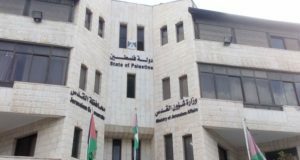 Amid Palestinian protest and international opposition, the Americans also voiced their opposition to the construction plan in meetings with Israeli officials. In 2005, when final approval of the plan seemed imminent, Israel agreed to American demands for a building freeze. Despite international criticism, Israel has pledged to continue building in east Jerusalem as well as in the major settlement blocs in the West Bank, even as a construction freeze continues elsewhere in the territories. Olmert has said that building in Jerusalem and the West Bank population centers are “not in the same status” as construction elsewhere in the West Bank. Israel plans to keep several major settlement blocs – including Ma’ale Adumim – as part of any final peace treaty with the Palestinians. 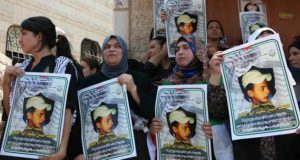 The road map calls on Israel to halt settlement activity in the West Bank, while requiring the Palestinians to dismantle terror groups. Meanwhile, the soon-to-be-vacated former site of the police station in east Jerusalem, which is located on privately-owned Jewish land, is expected to be handed over to a right-wing Jewish group, which plans to settle Jewish residents in the area, officials said.